Kim Orlando loves to travel. She should, she’s the CEO of travelingmom.com and she especially loves to travel with her family. When the idea of a family trip to Aruba came up, Orlando knew she wanted to go and, better still, take her family. But, she also knew that she wanted them to experience the island’s beauty, and detach from their electronics: phones, computers and tablets. Challenging? You bet. Orlando’s brood consists of three kids ages 11-15, and of course her husband, Rome. Naturally, no one wanted to part with their electronic lifelines. Dario, 11, has a girlfriend, so for him, giving up his phone and texting was decidedly not something he was happy with. But mom was able to make it work. 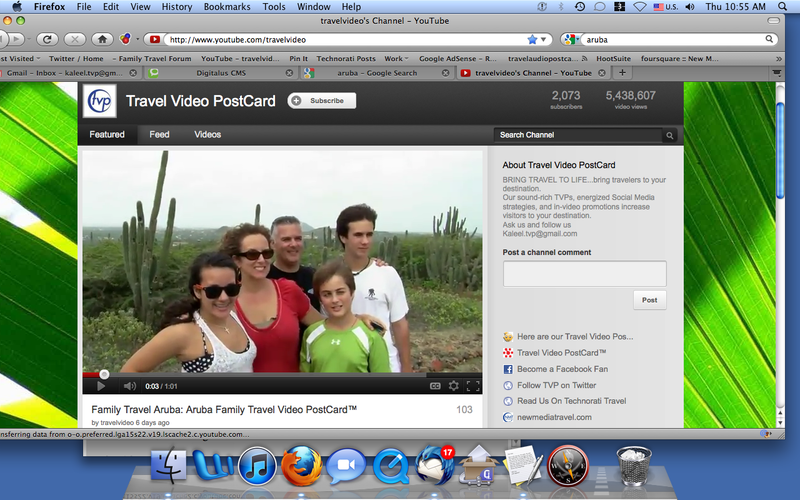 But freed from their devices, the family gradually succumbed to Aruba’s charms. One of the high points was a breakfast al fresco, arranged by DePalm Tours , and a family hike through the Arikok National Forest. Of course they explored Aruba’s famous caves, the homes of former pirates, some say, but with intact Arawak Indian hieroglyphics from the 14000′s. The golf courses of Aruba were a compensation of sorts, because Orlando’s family are golf addicts. But at the end of the day, when all the Aruba action was over, would the Orlando recommend that other families go cold turkey and leave their electronic devices off and out of reach? “If you can get away with leaving the electronics at home, do it!,” Orland says. She also recommends checking with phone service providers to see if they can put limits on texting. We suggest asking service providers for special offers and roaming charges. At the end of the vacation, does Kim Orlando think it was worth the effort? But that’s how memories are built. Right?